LifeTime Free Offer Eligibility: ITR 12L p.a. If you’re new to the world of American Express, you should check out my recent article on 5 Reasons why You should have an American Express Credit Card. Don’t miss to go through the comments section as it has valuable information left by other readers. 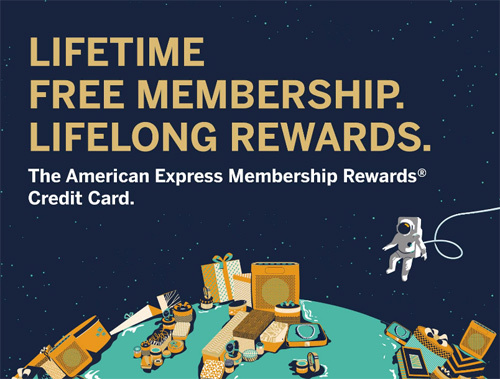 American Express has various credit cards in India and here we’re talking about the Membership Rewards Credit Card which is currently available as Lifetime Free. If you’re looking for a complete review of this card, please check out – American Express MRCC Review. Here we’ll see some quick points. Though the default reward rate of MRCC card is 0.5% on any spend, their accelerated reward rate jumps to ~2.15% on 3.5L annual spend, as long as you also avail their Monthly Bonus of 1000 points, which you get on spending Rs.1000 x 4 times in a month. If your spends are spread across various categories and not just limited to some, you get better reward rate compared to SBI Card Prime. American Express is known for their aggressive promotions with various Travel and lifestyle partners. Some of their offers are Godsend for people like me, as i travel every once in a while. This is the HUGE part that’s going to save you few thousands every month, though i’ll skip it now as i’ve explained in detail already many times here and here. Every year, especially during Diwali season, American Express runs a spend based offer that is very lucrative. Last year they ran this promo: Tanishq Gold Vouchers worth Rs.20,000 on spend of Rs.2L – That’s nice 10% in savings!! I’m expecting a similar spend based offer this year as well. And to enjoy that you need at-least one American Express Credit Card. Apart from these, you do enjoy: Emergency Card Replacement, 24/7 Friendly Customer Support and of-course peace of mind with their Zero Lost Card Liability. I recently had couple of fraudulent transactions on my Credit Card and check out how American Express saved my Day. If you’re eligible for the MRCC Lifetime Free Offer, i would highly suggest you to get one as it not only helps you to avail the festive promos but also enjoy all the existing and upcoming offers for the rest of your life. Even if you’re not eligible for LTF offer, consider getting even the paid one as the fee will payback multiple times, as long as you can spend well and avail their promotions. Remember, the Lifetime Free Credit Card from American Express is much more valuable than other bank cards due to its exclusive offers as i mentioned on my recent article – The Truth about Your Lifetime Free Credit Card. That all being said, its wise to grab the LTF offer if you’re eligible. I have earned more than 9% on this card in my last 12 months spends including the 20k tanishq vouchers and 3 rs.1000 bms vouchers. I have done around Rs.3.6L spend on this card. This month statement will have renewal fee, i hope to get some offer on the fees. People havnt replied even after 15 days. What should I do. Call up their phone support and they can tell whats happening. 2.5% on 3L annual spend?. Please explain. Total: 18k Points = Rs.7500 statement credit. Sid, amex doesn’t give points for fuel,utility and insurance. So the spend of 3 lakhs doesn’t guarantee 6000 rewards. However there promotions are too good. I am using it for past 3 years (gold card). Valid point. Wallets could help to certain extent like fueling petrol though. Absolutely right. Promos make the real difference. Apart from Tanishq vouchers I got INR 15000 worth Taj Vouchers for for the spend of INR 150000. Taj voucher? I never received such offer. May i know more about it? You can add money through your card in any ewallet and pay using it. Then, you can get reward points….and can get 0.75% additional cashback…and dont have to pay fuel surcharge. Instead of spending 3L, might as well do this for 18 months to get 18000 points. 18*4*1000 = 72000, for 7500 credit. Pretty awesome in 1.5 years if you see. I did the same for 24 months and got 15000 (7500*2 ) as statement credit. Is this card not available for residents of Kolkata? The official web page doesn’t include Kolkata under eligibility criteria. I already have gold charge card. So does it make sense to opt for this one alongwith it? I enjoy my rewards on gold charge so wondering if this would give me any higher rewards. The reward rate is almost similar, just that you can get the bonus 1k points easily on MRCC. By your experience , is it possible that they can do it next year ? Or I have to try my luck next year by looking for some retention kind of offer by asking to close this card? Also i come across that card referral bonus and some other offers are not there on this card as compare to gold charge card. Waiver depends on spends. Higher the spends, better the chances. I already hold this card for about 10 months. Can I avail the lifetime offer for this existing card ? Its only for new cardmembers. You should have CIBIL score >700 also. They rejected for my friend for this reason. This offer is only for the new Amex Customer, and not for the customer already holding any card. They denied my application for life time free card. Thanks Sid for this information. I was always willing to have an AMEX in my pocket but was not applying because of higher annual fees and lower acceptance. But having a LTF is not a bad deal. I applied for this card under LTF offer on 24th August. Luckily it was approved online and i got email with a link to upload documents, which i did on the same day. But even after 10 days when i heard nothing, i called the customer care, they informed that my application has been cancelled with a reason of missing documents. Then i forwarded all the documents to their email id and raised a complaint too. Hurreee….. after two days i got SMS, saying my card is approved and will be getting in 5 working day. Thanks Sid for this valuable information, otherwise i could have missed this offer. Now waiting for my card. Finally got my AMEX MRCC yesterday. Sid, How AMEX decides the credit limit? What is normal credit limit on this card. They have given 3.20 L to me. Thanks Narinder for the comment. At American Express®, we put you first, which is why, we curate programmes that help you make the most of your American Express® Card. Being a valued Cardmember of ours, I am pleased to bring to you a programme exclusively designed for you. Over the next three months, when you spend INR 2 Lacs or more in a calendar month, you will be awarded a Taj Hotels Resorts and Palaces stay voucher worth INR 5,000 every month. Offer valid from July 1 till September 30, 2016. It is indeed a great feeling when, every swipe on your Card takes you closer to the reward. I look forward to bringing you more such rewards. That’s a great promo. But I haven’t received it though and wondering why! Did you spend too less/much before you got this offer? My spends on Amex is much less when compared with my other cards (mainly SBI Elite). But my brother who is running a vehicle insurance related business puts all his spends (mostly insurance paymnents on behalf of customers as it is more convinient for him) on the supplimentary card. This life time free card does not seem to carry airport lounge benefits. Can you please clarify. I’ve been using Amex since the last 9 years…haven’t seen any other card consistently coming up with such tempting offers….their monthly bonus points is a real killer-deal…even their referral fee is great…2000 cashback per successful referral…I have 3 different Amex cards and usually reap the offer benefits on all 3 of them :)…last year got 2 Tanishq vouchers of 20K each…that was a crowning glory! This life-time free offer is great…but they anyways reverse the renewal fees…if you spend is good…can’t wait to see what they’ll offer this Diwali! First of all, I loved all your articles… Great write up and research… Thanks to them, I got my knowledge about finance and credit. Keep it up!!! I have started my career in Merchant Navy since Oct, 16. Before that, I used to work in service sector for almost a year and during that period, I had my salary account opened by my company itself in HDFC Bank. I had applied for a HDFC credit card in Feb 16 and got a “Times Titanium Mastercard” with 35000 as credit limit, which got bumped up to 42000 a few months back. That was when I had a salary of 14,500pm in hand. After I joined merchant navy, my salary is 35,000pm, which I earn only for the period I sail for, i.e., 9 months per year. Now, since then, I am wondering if I should stick to that card and improve my limit or should I close it and move on to some other card. My main uses would be travelling, groceries+shopping, fuel and a little online purchase. But being in merchant navy, I do not have a year round salary. So I was wondering of that factor would affect my credit card approval and if I can apply for any other card… Which one should I go for? Do you know how a freelancer could get an AMEX card? Even though my income is way above 6 LPA, I cannot seem to apply for one without either being employed or having my own company. I work directly with a foreign company and get paid via invoices, and AMEX’s normal sales line doesn’t seem able to help. Any ideas? I tried applying recently, and they said “we currently do not source freelancers”. :\ Which is a pity because I really would like an AMEX card and the other cards in India are pretty bad or impossible to get (Diners Black). Maybe Siddharth could help me out and get me in touch directly with an agent? You can be a freelancer but you still need some kind of business name/office and i’m sure its not that tough for sole proprietors. Never had any contact with agents so far! I am a freelancer and I got the got easily few days back. Can you share how? do you work as an individual or also have your own business registered? Is it also possible if I don’t have a business registered? I.E. I file my ITR as myself. I could put up a board if that would help (I don’t have one as none of my clients are Indian), but I could only put my own name in that case. I have had no problem getting premium cards from HDFC with my ITR, I’m really not sure why AMEX makes it so difficult, even with a higher than required income. For annual income proof, do we need to send all pages of ITR or summary like intimation confirming tax paid w PAN would work? I tried to call amex 2639 number but it’s not working. What is the best place to confirm CIBIL. You can go for yes first exclusive. I am new to Amex. How registering with any offer works? Just checked on Amex website, this offer has been extended till 5th Oct 2017. I already have the gold charge card, I got a mail that along with the charge card they are offering me theis gold credit card. Personally I don’t see any additional benefits, what do you think? Hi Siddharth, I already have HDFC Regalia Card which is one of the top cards with lounge access and reward points redemption for flights, the two features which i utilise a lot. Is it still worthwhile to go for Amex Card. ?For the lifetime free offer do they consider 12L gross or net pay. Pl. clarify. Though my gross is comfortably above the limit, due to taxes, PF and other deductions it is slightly below 1L . So how does it affect lifetime free offer. My card spends in a year is around 5 Lakhs. Pl. advise. Gross income is the income before deduction of taxes, pf and other deductions. The gross in the ITR should be more than 12La. I already have the amex gold charge card. I have got an email from them offering LTF “American Express Gold Credit Card”. Is this same as the MRCC, as I don’t see the “American Express Gold Credit Card” listed on their website? I turned down the offer for Amex card when they called around a month back. Later, I read the benefits here and thought of applying for the LTF one as I fill the criteria. However, the website says ‘you cannot apply for this card now as per internal policies. Try again later’. Any idea what went wrong. This was before the extension of their offer to 5th Oct.
I’m being offered the mrcc Card or the platinum travel Card LTF by Amex through Corporate offer. I’m already holding platinum reserve and gold Card from Amex. Please suggest which Card should I go for as a Life time free option. I have applied for AMEX MRCC…..It’s been 3 weeks almost…..I called up their cust care and they told me that ur card is approved and all verifications are done…..When should I expect the card to reach me? One more thing…My gross income is approx 10 Lakhs/annum….Is there any way they gonna offer me the card life time free? But limit provided is just 50K when my other CC have 4+ & 5.5+ limits. IMP: Although online the LTF offer is over, the executive told offline they will still process applications with LTF. So guys don’t get disheartened if missed. Get in touch with an Amex executive F2F for LTF. Calling customer care would be waste as they will follow what Website says. This is awesome! thanks for the info. I just stumbled upon this site last week and was disappointed to have missed the opportunity. Not sure… But, as i understand, it is 6 spends of Rs. 1,000 each in a calendar month to receive 1,000 bonus points. This number of 6 has been increased from the earlier 4. No, it is still 4 spends of 1000+ in a month. Your billing cycle may be from 10th to 9th. But, the 4 spends per month is seen from 1st to 31st of a particular month only. Has anybody looked at the health insurance they offer in partnership with ICICI? Anything good worth looking into? Based on the terms and conditions here americanexpressindia.co.in/c2c/corp/pdf/offer-tnc-all.pdf the life time free is a waiver from the second year based on the spend. So it’s not really free. What’s so special about this? Almost all credit cards offer free waiver depending on your spends. Can someone explain how this is any different? Regarding MRCC LTF offer, there is a small discount on annaul fees for each year when you don’t meet adquate spend requirements. 2. Clarity on spend requirement; in terms of the offer, requirement is 1.5L; otherwise, the spend requirment is unwritten and hence, depends on your bargaining power and at the mercy of AMEX! how to apply for amex cards from tire 2 cities . seems they offer cards in limited cities.. I already have AMEX gold charge card and today I apply for MRCC card 8th DEC what are chances for approval as I spent 50k to 100k in month in gold card and always pay my dues before time. and one more thing my all spents are in USD if current rate is 65 INR of USD they charge me 67.80 the they charge to much and can I call to amex to see this issue what are their currency convert fee. and I think AMEX support internationally USD so if my payment in USD why the charge around 3rs more on each use spent. can any one tell me about that then this would be great for me. Place a request with customer care for a companion card (read MRCC). You don’t need o apply for it. So 18000 points is roughly 6000 plus money credited back to cards. Best part is, I can use it anywhere, even at petrol pumps and there is no maintenace or annual charges. Except a class thing, Inam trying to understand how it is better over hdfc money back credit card or citi bank credit cards. Is there any minimum spending amount for LTF crads also ?? How to check this offer? My credit score is 650 and my CTC is 6.25Lacs. However, my salary slip does not shows monthly net is around 44K due to Mediclaim and other deductions. I had applied for amex once earlier but they said that my residence pincode is in a negative area. I want to apply for Amex jet airways card or MRCC. Please suggest. Hi, Is it life time free credit card or is there any renewal charges are there. I applied for MRCC a few days ago and the agent told me that as of now, there is no lifetime free offer with this card. They can waive the joining fees of Rs. 1000 but the renewal charges of Rs. 4500 cannot be waived. He told me about another offer where you can apply for this card with Gold Charge card and in that case, this(MRCC) will be LTF but the renewal fees of Rs. 4500 will be applicable on the Gold card. I don’t think it is a free card; you get it for free only if you hold a paid Gold card. Also on the Gold card, the criteria to get 1000 bonus reward points now stands at 6 transactions instead of 4. AmEx customer care says.. since the card is a lifetime free card, it doesnt give the benefit of 1000 reward points on spending Rs. 1000 / 4 transactions a month.. Is that correcct? No it is not true. I am holding this LTF version and getting 1000 reward points every month. 1000 points for 2 transactions of 1000 or more each on supplemental card. 4000 expense results in 2000 points. No, 4 transections of 1000 or more from primary will give you 1000 points plus 2 transections of 1000 or more will give additional 1000 points. Narinder: Additional 1000 points for 2 additonal transactions, how did you get to know about that? every month on using the Supplementary Card! 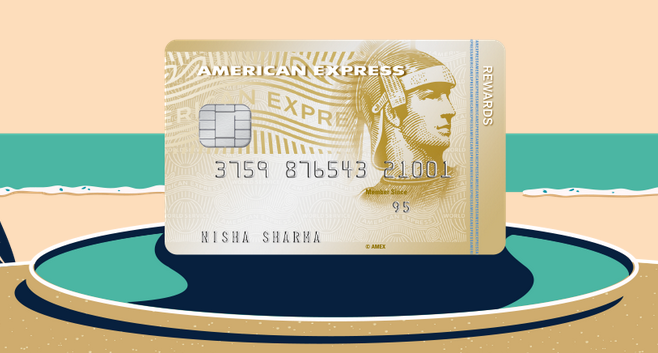 Enroll your American Express® Card for the offer*. Make two transactions worth a minimum of Rs. 1,000 each on the Supplementary Card in a calendar month and get 1,000 Bonus Membership Rewards® Points#. OFFER VALID FROM MAY 1 TO JULY 31, 2018. Hi I received the offer mail. I have enrolled for the same. This month i have 4 transactions on my basic card 2 on my supplementary i received only 1000 reward points. got a call from amex for the same. It’s called American Express Everday gold credit card. Got a mail from amex that if my spend in past 1 yr crossed 1.5 L , 100% card fee will be waived. Anyone else got it in past ? Nope. I havent received the offer and heard of it. I have received the same offer via email. It seems like Amex is now offering spend based reversal. Did AMEX already announced such LTF cards this year? Any idea on this? 1. Get rewarded for your spends with 5X and 10X Bonus* Membership Rewards® Points respectively at select merchant* partners capped at 500 MR Points per month on Flipkart and Ola. 2. Get a cashback of Rs 500* on spending Rs. 10,000 in the first 90 days of Cardmembership. Hello guys, I have CIBIL score 780 but my application for Citibank Credit card was rejected. Now can I apply for AMEX’s card ? I don’t have any credit card with me, In past my cibil was bad. Please give me some ideas for getting AMEX card. Any idea how to get lifetime free MRCC card now? If u soend 1.5L in year the fees will be reversed. MRCC card is now available as LTF if the salary limit is more than 15LPA. This promotion is running and I just received the SMS for the same. Valid till 20th October. My colleague has a Amex Gold charge card and by citing the offer to the CC she got it converted to LTF MRCC card today. Converted to LTF MRCC card or got additional Campanian card with Gold charge card? That is the best way to use this! The reward rates touch 10% with this strategy. i am having amex everyday gold credit card. they had given me LTF with good limit. finding this LTF amex membership rewards credit card every tempting for 1000 bonus pts evry month. but its for new customer only. wondering should i close my amex everyday cc and apply for rewards card later after few months?? The latest offer was spend INR 1.5 lakh in 1 year and get the fee waived off. Does the waiver mean that the renewal bonus of 5k MR points will not be given?